Facebook’s shadowy Building 8 research team needs help from academia to invent futuristic hardware. But today’s pace of innovation doesn’t allow for the standard 9-12 month turnaround time it takes universities to strike one-off research partnerships with private companies. 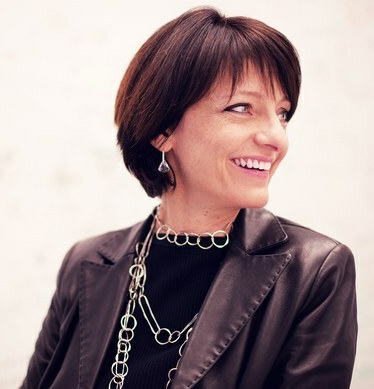 Enter SARA, aka Facebook’s “Sponsored Academic Research Agreement.” It’s a deal forged by Building 8 head Regina Dugan with 17 top universities to get collaboration on new projects started in just weeks or even days. SARA eliminates the need for time-consuming further negotiation and faculty approvals. In return for their labor, the universities will be paid a fee by Facebook. They’ll also gain a focus for their research that will actually become a reality rather than staying theoretical. The full list of universities on board is: Stanford, MIT, Harvard University, Caltech, Johns Hopkins University, Johns Hopkins University Applied Physics Laboratory, Rice, UC San Francisco, UC Berkeley, Northeastern, Princeton, University of Illinois at Urbana-Champaign, Arizona State University, Texas A&M, Georgia Tech and Virginia Tech, plus Canada’s University of Waterloo. Facebook refused to say what these schools will help it work on. But some of the company’s advanced hardware projects include the Terragraph Wi-Fi nodes, Project ARIES antenna, Aquila solar-powered drone and its own connectivity-beaming satellite from its internet access initiative. There’s also Oculus’ wired and mobile VR headsets, and the Surround 360 camera. And in back-end infrastructure, it’s building an open rack network switch called Wedge, the Open Vault storage solution and sensors for the Telecom Infra Project’s OpenCellular platform. Dugan has plenty of experience partnering with universities. She was the Director of DARPA — the government’s Defense Advanced Research Projects Agency — which worked with academic institutions to meet its aggressive timelines for shipping new tech to the U.S. military. Previously, Facebook has collaborated with universities by providing them with state-of-the-art servers so they can help it investigate artificial intelligence. It’s already working with more than 100 universities on research collaborations, and provides fellowships. Facebook is trying to play catch up to companies like Google with a longer history of hardware manufacturing. That’s why Facebook unified many of its hardware and research divisions like Building 8 in the Area 404 laboratory of its Menlo Park campus. With Facebook’s reach, resources and now its expanded access to talent, it could quickly build devices that advance humanity’s drive to connect.